Microsoft To End Support for Windows XP and Internet Explorer 8? Windows XP. A long lived product, and a very successful one by most accounts. But keeping true to a product life cycle, Microsoft will end support the Windows XP on April 8, 2014. What does this mean to all those PC users, both personally and professionally? The impact of Windows XP end of life is discussed in more detail here. I did. It’s not a set in stone declaration from Microsoft… yet. However, you can read between the lines on the Office 365 community forum discussion on IE8. Office 365 is not designed to work with Internet Explorer 8, and the user experience sending and receiving email with Outlook Web Access and Internet Explorer 8 may be compromised, especially when used on Windows XP and/or with low memory machines. Office 365 will not offer code fixes to resolve problems using the service with Internet Explorer 8, and new Office 365 experiences will likely not work at all. While Office 365 Customer Support and Service will attempt to assist you with Internet Explorer 8-related problems, the only solution to a particular problem may be to upgrade to a modern browser. Office 365 has no plans to deliberately block Internet Explorer 8 users from connecting to the service. Looks like a Google / Gmail-type stance here from the boys in blue. Microsoft lays it out pretty clear in the forum FAQ that Internet Explorer 10 is best route for a great Office 365 experience. 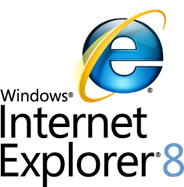 Does that mean that Internet Explorer 8 will go away on April 8, 2014? No. But it does show that Microsoft is becoming more direct in pushing PC users, across the board, to update their browsing experience. For the record, I am avid Chrome user. With that said, Internet Explorer 10 is a substantial improvement from the previous versions of IE. What version of Internet Explorer do you use? jQuery 2.0 Will Not Support IE 6, IE 7, or IE 8.